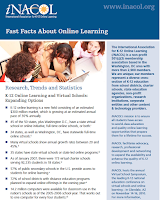 Interested in learning about the research, trends, and statistics related to k-12 online learning. Check out iNACOL's Fast Facts brief. Click here.